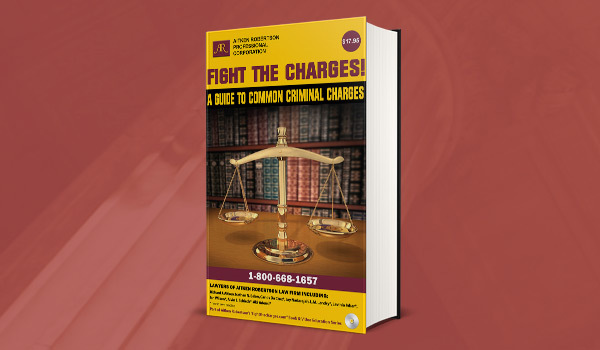 How to choose the right Ontario criminal lawyer to fight your charges? How can an Ontario criminal lawyer help? Can I keep my licence? Can’t I simply use duty counsel? Can a paralegal represent me? For a DUI, what if I don’t install interlock? What if I don’t have an Ontario Driver’s Licence and am arrested for a DUI? 1. 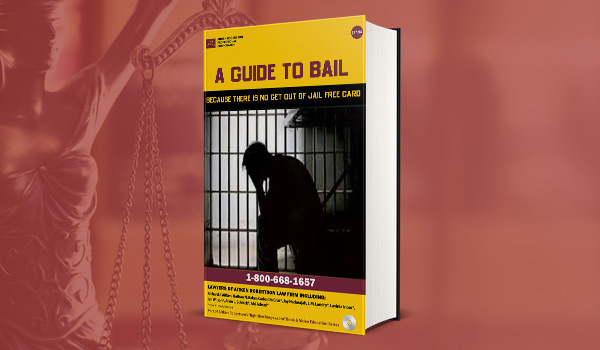 How can an Ontario criminal lawyer help? Drinking and Driving Law is quite complex. While a person might well be able to represent themselves on a simple shoplifting case, such is not the case with impaired driving. It would be too difficult. However, at Aitken Robertson we will explain the law to the client so that they understand the process, and can be fully engaged in the process. It is important to retain a lawyer right away so that evidence is not lost and your case compromised. Remember the police kept notes as events unfolded and you did not. One of the most important steps is for the client to write down exactly what happened before their memories fades. This will assist the lawyer in the defence of the case. Dr. Krishnan breath demonstration which proves that recent alcohol fools the machine. 2. Can my charges be reduced? Maybe. 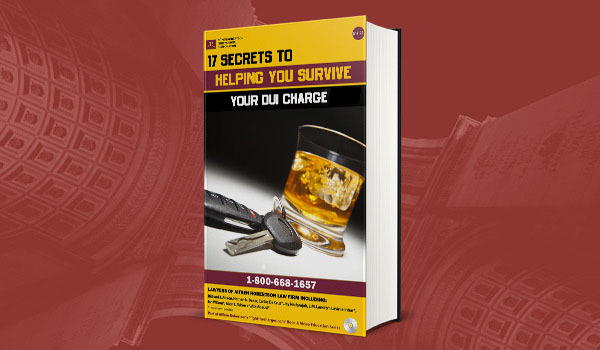 In the context of impaired driving, the goal is to win or have the charge reduced to careless driving. We can’t give you your odds until we have received the complete disclosure including video. Some cases are better than others. Obviously the lower the readings the better. In addition, some Crown Attorney’s Offices are more interested in making a deal than others are. However, we will give our blunt opinion about your chances for success so that you can decide on the best course of action. 3. Can I keep my Licence? Normally if charged with over 80 or refuse/fail to provide a sample there is an immediate 90 day licence suspension. Appeals of this administrative suspension are virtually impossible. You would need to prove that someone had impersonated you or that you had such severe medical problems such as lung disease that it was not possible for you to provide a sample. Once the 90 days have expired, assuming that you have not pled or been found guilty in the interim, and once you have paid the licence reinstatement fee, you will be able to drive again, pending the final conclusion of your case. 4. Can’t I simply use duty counsel? Duty counsel will not do trials. Apart from that, duty counsel can only assist if you fall within a very limited income range. While duty counsel are generally excellent lawyers, the reality is given the volume of clients they represent in a given day, they may only be able to speak to you or to the Crown on your behalf for 5 minutes. If your case ends up being adjourned, it is likely that duty counsel will be someone else next time, leading to a lack of continuity. 5. Are payment plans available? Yes. No one plans on using a lawyer so no one has set aside money for that purpose. Generally speaking our clients pay monthly payments by VISA, MASTERCARD, Debit, or cheque. Payments can be spread out over time. Aitken Robertson does not charge interest for these payment plans in most cases. We try to make legal services affordable to the public. 6. Can a paralegal represent me? If it is a speeding ticket or careless driving a paralegal can and in fact might even do a better job than a lawyer. However, for criminal matters, even where a paralegal is allowed to provide representation, lawyers have additional training which generally will make the lawyer the preferred choice. Sometimes, a client can only afford a paralegal, and in such cases, hiring a paralegal makes great sense. For impaired driving, over 80, refuse/fail to provide, paralegals are not allowed to handle these sorts of files, and a lawyer only is able to provide representation. 7. How to Choose a Lawyer? Is the person I am speaking with a lawyer or a paralegal or sales person? How much will the cost be, and can the payments be spread over time. After speaking with the lawyer, am I left with a sense of confidence? 8. What should I bring when I meet my Ontario criminal lawyer? 9. For a DUI, what if I don’t install interlock? On an early plea of guilty to an over 80, impaired driving or refuse sample charge, you may be eligible to get your licence back in as little as 3 months if you install an ignition interlock device. Even if you go to a trial and lose you may be eligible to be back driving after 6 months with an interlock device. But what if you don’t want to or cannot install an interlock device? The answer is that you spend a much longer time before you can drive. On a first offence you will be unable to drive for a full year. During that year you must complete the Back on Track program, and pay all fines and reinstatement fees. At the one year point you should be eligible to get your licence back. BUT, there will be a one year term to have interlock installed. While you do not have to install it, you cannot drive a vehicle that does not have it. This means that your time not driving gets extended to 2 years in reality. It is important that you get your licence back as soon as possible though because if you never get it back then the 1 year interlock term never starts. So if you drag your feet and don’t take Back on Track for 3 years then get your licence back, the interlock term will start then and extend your time not driving to 4 years! The same thing is true for second offences where there is a mandatory 3 year no driving and 3 year interlock term. If you wait longer to get your licence back then the 3 years with the interlock term will start later. For third offences you can never drive without an interlock installed ever again. Because of all of this, it is best to take the steps as fast as you can even if you do not want to install an interlock device so that the clock starts running. 10. What if I don’t have an Ontario Driver’s Licence and am arrested for a DUI? If you don’t drive, you have a long path in front of you before you can drive in Ontario. If you live in the USA, other than New York or Michigan, then you do not have to worry. If you live in a different province in Canada, or in Michigan or New York, the penalties vary from location to location. Each jurisdiction has its own rules. For example, in Alberta even after a trial you may be able to get your licence after as little as 3 months. The same case in Quebec may lead to a much longer loss of licence. For this reason it is important that you review your case with a lawyer who understands the intricacies of these laws so that you are properly advised when choosing whether to plead guilty or have a trial.